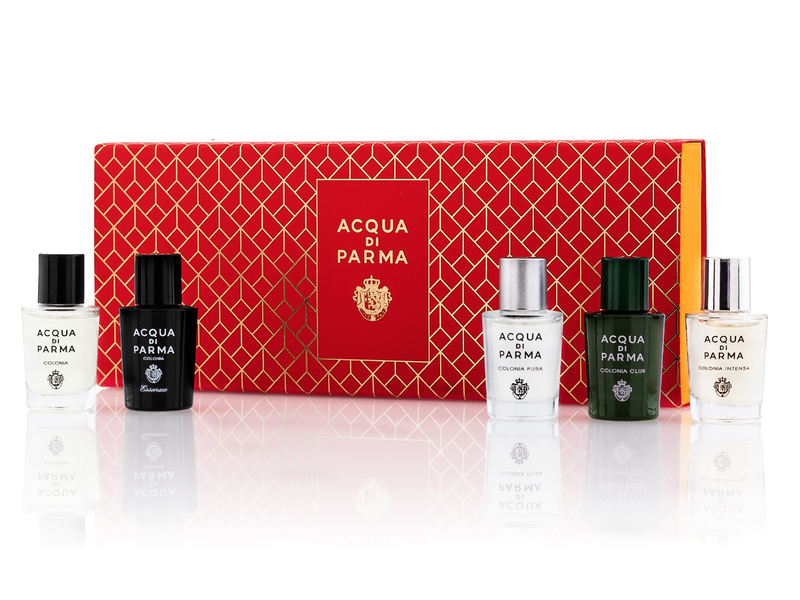 If you’re one to love trying out scents for a week before committing to a full-size bottle, Acqua di Parma’s got you covered with its all-new Colonia Miniatures set. Coming in a handmade box that contains 5 bottles from the Colonia range, it allows you to discover them one after the other, before finding a scent (or perhaps all 5) that truly connects with you. Themed around Acqua di Parma’s iconic Colonia fragrance, it opens with top notes of citrus fruits like bergamot and orange before revealing a floral blend of lavender and verbena. Finally, it winds down to woody notes of patchouli, sandalwood and vetiver that all-in-all sounds like the perfect blend, with its roots dating back to 1916. The next four are spin-offs from the Colonia family which includes Colonia Club, identified by a cool green bottle with the highlight of the scent being mint and geranium. Then there’s Colonia Essenza, a stylish black bottle that’s all about a delectable blend of citrus (grapefruit and mandarin) and wood (amber and white musk). Moving on to Colonia Intense, which as its name suggests, comes in a bold composition of lemon, leather and woody accords. Lastly, with Colonia Pure, expect to find a light and airy scent that features an interesting blend of coriander and jasmine. Another point worth noting? Each fragrance is housed in its very own 5 ml bottle and the whole set is priced at SGD95, in a limited-edition red and gold box (that’s also perfect for the upcoming Lunar New Year). When, you ask? It will be available at Escentials, Sephora and a number of leading departmental stores from February 2019.